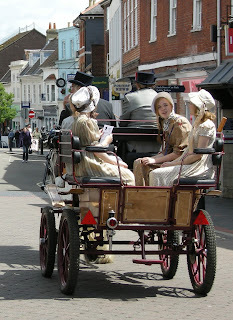 Jane Austen Regency Week - a nine- day annual Festival of events celebrating Jane and the Regency period – will take place between 17th and 25th June in and around the market town of Alton in Hampshire and the nearby village of Chawton. Jane Austen’s former home is in Chawton, now the Jane Austen’s House Museum. Jane spent the last 8 years of her life here and produced 6 great novels. Nearby Alton is the place where she shopped, banked, collected and delivered post, visited her friends and caught the stagecoach to London. This year’s Festival is a very special one –commemorating the 200th anniversary of Jane’s death. It’s also 10 years since the start of Regency Week. This year has a fantastic line-up of activities and events, including music from the period, talks, singing, walks, dancing, house and garden tours, embroidery workshops, cream teas, film, cricket, supper and a vintage fair. 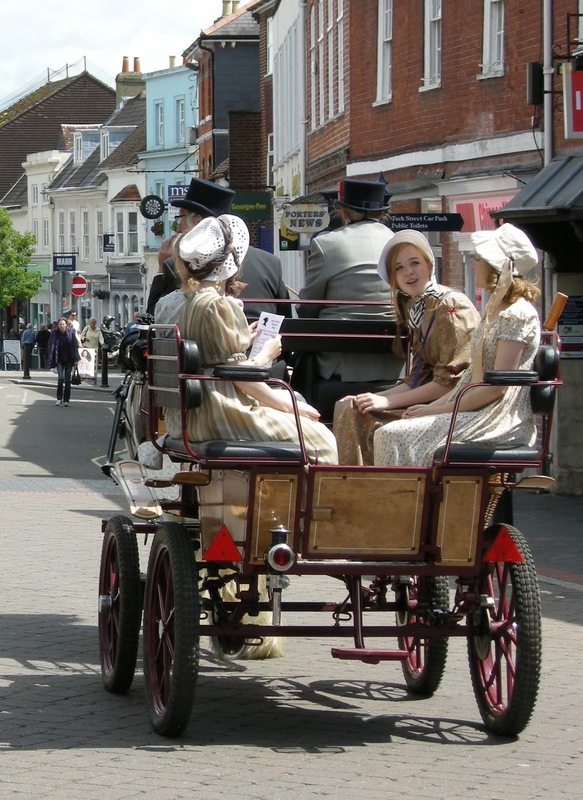 Saturday 17th June launches Regency Week with a free Regency Day in Alton – a day full of historical delights such as people in costume, horse & carriage rides, a market, petting animals and more. The celebrations continue with a dancing workshop and then into the evening with a sumptuous Regency Ball. Chawton’s Vintage Fair on 18 June will have up to 30 stalls offering a plethora of interesting and unusual items (10 am – 3.30pm,Chawton Village Hall, Winchester Road, Chawton, Alton, Hampshire, GU34 1SB. Price £1 Contact: Jerry Fabian Tel 07799 478584). Why not take time out to enjoy a cream tea and tour of Chawton House Library’s wonderful garden on the same day. Chawton House Library is the 'great house' which belonged to Jane Austen's brother, Edward Austen-Knight. The day ends with a Regency choral evensong at St Lawrence’s Church in Alton, the church where one of Jane’s brothers preached and several nieces and nephews were christened. There are many more events to choose from and here are some examples to inspire you! Take a tour of Chawton House Library with its curator on 19 June. The same tour is available on 21st and 23rd. Get creative and hands-on with history Regency lady-style on 20 June and learn how to embroider a handkerchief using rare eighteenth-century patterns. You’ll be guided by Royal School of Needlework graduate Charlotte Bailey, who worked on the Duchess of Cambridge’s wedding dress and fashion commissions from Louis Vuitton and Mary Katrantzou! If you like Darcy, The Scarlet Pimpernel, vampires and superheroes, ‘Darcy then, now and forever’ is just the talk for you - by Dr Gabrielle Malcolm about the enduring popularity of the hero, based on research for her new book. To round off the day take a once-in-a-year opportunity to enjoy Jane Austen’s House Museum and garden (plus some activities not normally on offer!) in the evening. A new addition to Regency Week on 22nd is a rare opportunity for those not staying at Wyards Farm (now a B&B) to discover this eighteenth century gem of a house – and to enjoy a cream tea. Wyards was well known to Jane Austen, being the home of Anna Austen, her niece. The current owners are Ann and William Monk and William is a distant relation to the family, which only came to light when they moved to Wyards! On 22nd in a fascinating talk by Jane Hurst, discover more about the life of one of the last local people to see Jane before she died - Alton apothecary William Curtis. His honesty regarding Jane’s illness being beyond a cure led her to Winchester to seek the help of Mr Lyford. Sadly he was also unable to help and she died in the city. The Festival’s finale on 25th brings a day full of celebratory activity. Enjoy a Victorian Cricket Match and entertainment for all the family on The Butts, Bringing this year’s very special Regency Week to a close comes Regency Week’s popular traditional Regency Supper with entertainment at the Alton House Hotel, celebrating cuisine of the period. Other events include more talks, a special tour of Alton, walks and more. See a full run-down of all the events planned for this year’s Regency Week.